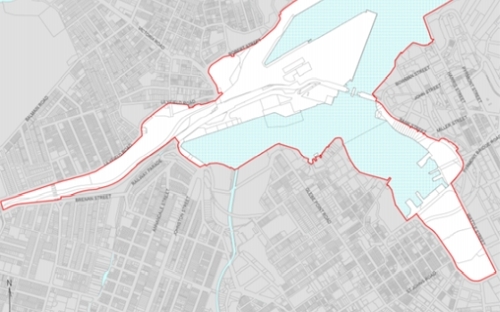 You are viewing » Home » Issues » Bays & Foreshores » Wentworth Park – a ‘growth centre’? Concern has been expressed on the Glebe Society’s Facebook page about the inclusion of Wentworth Park in Urban Growth’s ‘The Bays Growth Area’ (see map). There will be no development in Wentworth Park or impact on the existing fig trees. This section of Wentworth Park is included in the map due to its geographical location, not because it will be developed. It will remain a public park. This is consistent with advice given repeatedly by Urban Growth NSW to the Community representatives. This is reassuring, but one wonders why Wentworth Park remains in the zone – particularly as other areas are also ‘geographically located’ nearby and are not included. Lesley Lynch, the Society’s Bays & Foreshores Convenor, thinks Wentworth Park may be included in the Growth Area in order to boost the amount of green space, permitting greater development of the foreshores. Another possible reason advanced by Lesley is that the NSW government is keeping its options open for the space once major infrastructure issues (e.g., new sport stadiums) are decided.